ESPN & MARVEL - in the feature film "1 of 1: Genesis"
Josh has extraordinary natural abilities. Josh is a true professional. Working under a very tight deadline, we needed a voiceover artist who could collaborate with our director and turn around a recording right away. Josh fit this role perfectly. We were able to make our deadline and were very happy with the results. 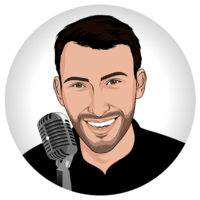 We've worked with Josh several times as a voiceover artist and on-screen actor. Josh understands what's needed very quickly and often executes perfectly in just one take. For voiceover projects that we gave him, he delivered promptly and flawlessly. On top of his professional and artistic qualities, he is fun to work with!